Get Serious About Your Singing People Will give You A Chance! If they see that you are serious about your singing people will be more than willing to give you a chance. What does it mean to be “Serious?” Your central effort must be to improve your voice every day... Practice...Warm up your voice carefully before you sing songs. Make time to read books and articles about singing. Listen critically to how others sing. Think about why you like a performance or why you do not like it. Try to gain something for your own singing life from every performance you hear. Record your self and listen carefully. But realize that most singers can benefit from having feedback about their singing. So consider finding a good singing teacher who relates to your style of music. Prepare well for your lessons. Be on the lookout for songs that are wonderful and powerful. Songs that you think your voice can now or one day will handle well. Keep a note book about singing where you record your thoughts, hopes and ideas. People can sense when you are serious about singing, and they will give you a chance to show them what you can do. If you are purposeful in your singing people will connect with you. This means that you sing about things that are meaningful to you. Sing about events, places, people and occasions that really intrigue you. Choose songs that represent what you believe. 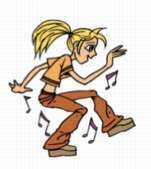 Avoid singing songs that are well beyond your current ability or outside of your personal knowledge. Don’t sing songs just because the stars sing them. Find songs that suit your personality and your voice. If you have a trusted teacher, ask her or him to suggest a variety of songs for you after you have discussed your unique life interests. Ask a close friend to suggest some songs for you: not songs that they like, but songs that they think YOU will sing well. Always be on the lookout for songs that are different and powerful. If you enjoy your singing people are more likely to relax and take pleasure in your vocal gifts. Make it a part of your singer’s credo (belief system) to approach your singing with energy and happiness. Avoid indulging in frustration and anger when you are building your singing career. Singers are notorious for being so wrapped up in their voices that when they have a “bad voice day” (as often happens in the early years), the whole world looks dark. Everybody around them suffers. Try to shift away from singing for a period of time if things are not going well, rather than singing with negative energy. Then come back to practicing later when you are in a better mood. Good singing relies a great deal on your state of mind. Calm down – then sing. If you enjoy your singing people will sense your pleasure and relax. 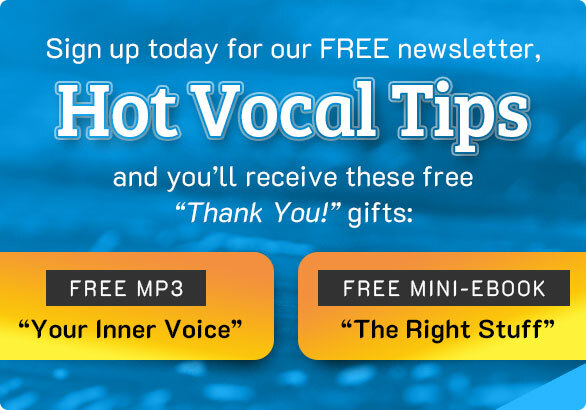 Look here for a way to stay positive as you learn to sing! Singing People and Self Esteem! If you are consistently good in your singing people will listen. One of the major attributes that separates good amateurs from professional singers is the ability of the “pro” to sing consistently well day after day. You will have reached a major milestone in your singing life when you realize that finally you can trust your voice every day. Your high notes are always accessible. Your breath control functions as it should. You can walk onstage with shaking knees, but your performance will still be of high quality. It is wonderful when all the hard work starts to pay off in this way. You can trust your talent. If you are consistently good in your singing people will feel your ease and remember your art. Look here for more vital information about starting a singing career. Learn About Starting a Singing Career!